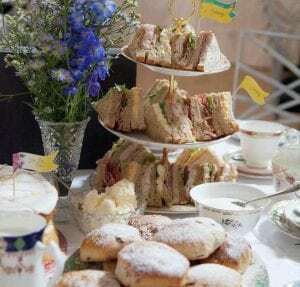 Enjoy an afternoon tea in one of Derby's oldest buildings. 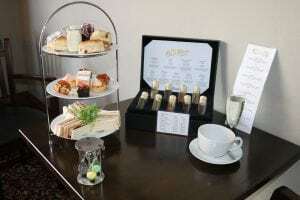 Relax and enjoy an exquisite afternoon tea at The Old Bell Hotel in Derby. 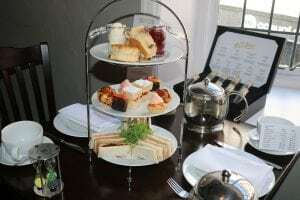 Our chefs have worked their magic to put together a fabulous afternoon tea experience complete with classic homemade cakes, scones and sandwiches as well as a special blend of teas to choose from. Our afternoon tea in Derby is a perfect way to celebrate an occasion or enjoy a indulgent treat. Our award-winning chefs have put together a magical menu with all your favourite afternoon tea classics. We’ve made our afternoon tea in Derby extra special with the opportunity to choose from a selection of artisan teas. Our afternoon tea in Derby is the perfect way to celebrate your special occasion. Relax and unwind with a glass of prosecco in one of our grand rooms as you enjoy a beautiful afternoon tea. A traditional afternoon tea is the perfect indulgent treat. Celebrate your occasion with friends and family in the relaxing surrounding of our Campion room. We’re located in the heart of Derby’s award-winning Cathedral Quarter. Why not enjoy a shopping trip in Derby’s finest designer shops, salon, bars and more. It’s super easy to book for afternoon tea. Use our online booking system or give us a call on 01332 723090. If you’re celebrating a special occasion don’t forget to let us know! Looking for Afternoon Tea gift vouchers?